Today I can say – what I mostly want to offer my audience and to the audiences of events organised by me, is an EXPERIENCE! It seems to me that an experience is exactly what we actually most miss and most need in musical events. That is why the IDeeJazz was started 6 years ago, so that everyone could experience high-quality musical moments with the world’s top artists, in Tartu – where I have lived for 11 years. I want not only Paris, New York or Berlin to enjoy the charge of energy which is born on world class concerts, but also Tartu’s audience! The magic of jazz concerts and moments, lies in the mastery and good emotions of the performers. But in this music, there is something else that we don’t encounter very often elsewhere – that is freedom. Freedom to go travel and search with the music, freedom to meet with good friends, sounds scenes, with some instrument combinations that are still a bit unknown, and as happens on a good journey, to meet some unexpectedness and suprises, during a story which was started by a piece. IDeeJazz’s magic lies in it’s freedom and mastery. I hope to be surprised this time also and to find my freedom in some combination, in some moment of jazz. Hopefully this festival will be a sequence of enjoyable meetings and surprises! This early winter the good vibes festival IdeeJazz brings to Tartu jazz music world’s bright star Richard Bona, Argentine music living legend Dino Saluzzi, the best Polish jazz pianist Marcin Wasilewski with his trio and Tartu’s audience long-standing favourite, the Crimean Tatar Enver Izmaylov. The festival highlights the absolute tops of domestic jazz and gives an opportunity to become acquainted with the creations of the younger generation of musicians. Tartu’s jazz and rhythm music festival “IDeeJazz”’s aim is to put Tartu in the world’s jazz culture map by bringing the best representatives of the jazz culture of Estonia, Europe and the different continents to the stages of the city of good thoughts. Visitors of this year’s festival can partake of the musical world of the Cameroonian bass magician Richard Bona, the Argentinean bandoneon master Dino Saluzzi, the Polish top pianist Marcin Wasilewski, the Crimean guitar virtuoso Enver Izmaylov, the Estonian master pianist Kristjan Randalu, as well as the Estonian vocal acrobat Kadri Voorand. IDeeJazz has found the best possible format for a music festival in Tartu. The concerts of the main program take place on three consecutive days: in the new hall of the Estonian National Museum, in the Vanemuine Concert Hall and in the Tubin hall at Eller Music College. This year the international festival will be five days long: in addition to the concerts on the main program the festival will have ID+ – performances of Estonia’s top musicians and music students in clubs and smaller venues in Tartu, as well as master classes in Eller Music College, rhythm school for children and more exciting things. During the festival the sound of well-chosen jazz will be heard in Tartu’s cafes. The reference to ideas in the festival’s name is expressed in the performer’s choice, where every artist has something extraordinary, personal and unique to say – something that speaks to the audience, provides food for thought and adds colour to life. The word “jazz” refers to the genre, but also to an open and creative mindset – from the point of view of the listener as well as the musician. 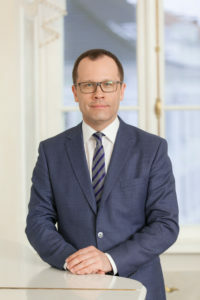 IdeeJazz, which will take place for the sixth time, has given a reputation to Tartu. The festival is organised by the non-profit organisation Rajamuusika. The promoter of the IdeeJazz is Oleg Pissarenko. 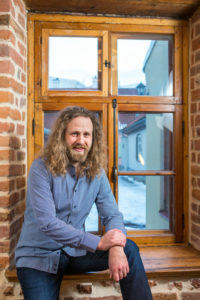 So far, some of the IdeeJazz performers have been Sven Grünberg and Mess, Radar, Peeter Volkonski and E=mc2, Tõnis Mägi, Marju Kuut, Tõnu Naissoo, Hedvig Hanson, Laura Remmel, Sofia Rubina, Villu Veski, Raivo Tafenau, Jaak Sooäär, Tanel Ruben, Tiit Kalluste, Oleg Pissarenko, Estonian Voices, Verbarium, Wilhelm, Innersound and many others. 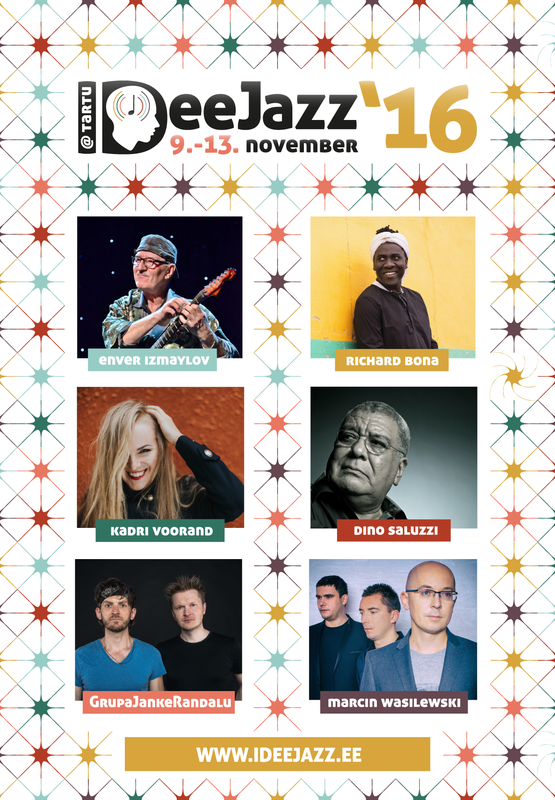 The IdeeJazz festival will take place from Wednesday 9th November – Sunday 13th November 2016 in Tartu.